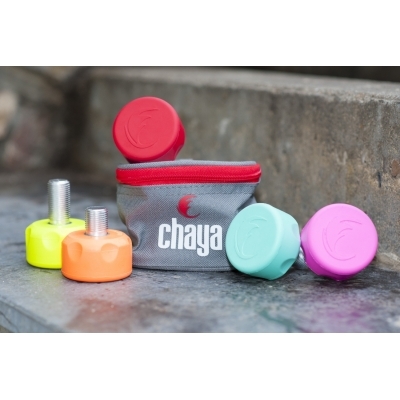 Chaya Cherry Bomb Toe Stops are formulated from a natural rubber compound designed for high level performance on or off the track. High abrasion resistance provides a longer lasting stop on any surface. Stoppers come in a range of different colors with short or long aluminum stems. They are a round, medium sized toe stop and have a flat profile, so no break in time.